‘Spring Into Brazil’ airs daily on our streaming station from 03-20-19 through 03-26-19 Monday-Friday at 7 am, 3 pm, 6 pm and midnight Central Time (US). Weekends, too. So if you are one of those who still has as many inches of snow on your driveway as we are days into Spring, then this week’s program should help you get through. For sun lovers (and many Brazilian music fans), spring is the season we look forward to most, and if you’re in the mood for some spring cleaning – or just want to revitalize – here are a few tuneful tips to add a little more of Brazil into your life as we spring into Brazil! Wednesday’s Brazil Back2Back pulls together a pair of Season-changing fan favorites! Listen at the top of the hour, 11 am, 2 pm and 5 pm CT, exclusively on our streaming station. Daily Listening Guide. Sunday’s Brazilian Brunch celebrates the arrival of spring with ‘A Brazilian Bouquet’ and the softer side of Brazilian song! Only on Sundays at 5 am, 9 am, 2 and 8 pm Chicago time and only on The Sounds of Brazil webstream. And read our Brazilian Burnch preview every Sunday from our home page. 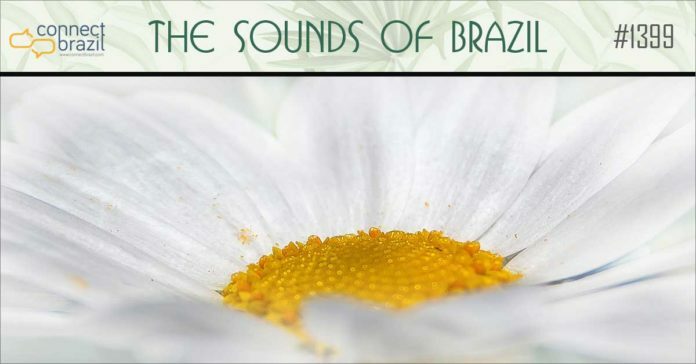 Like us on Facebook: There’s always something musical going on with our Facebook page for The Sounds of Brazil, and it’s easy to enjoy Connectbrazil’s fan page too. ‘Like’ them both, so you won’t miss any of the sun-season fun we’re planning for you! ~ ~ ~Always a great story on Connectbrazil’s home page. It’s a great way to add a little more ‘Brazil’ to your life. Read up on this week’s featured singer Elis Regina, the secret story behind The Waters of March and more. Our events calendar and directory are there, too. Things to do, places to go! Next week, we’ll celebrate Astrud Gilberto’s birthday with two hours of her very best tunes! What a great way wrap up the month with our ‘Songs In The Feminine Key’ theme! I hope you’ll enjoy the show and please – tell a few friends about us, Sundays at 2 pm Central on 90.9 FM WDCB. It’s always great to share the music.